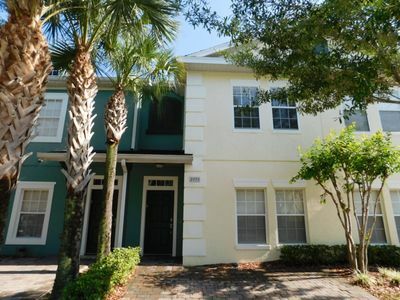 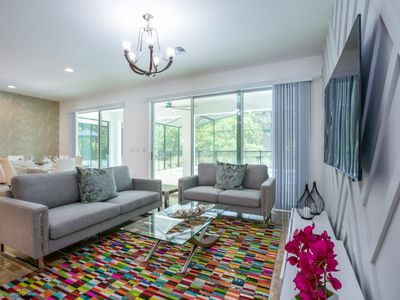 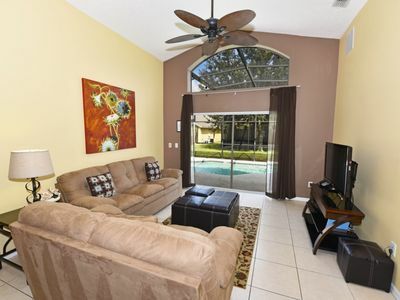 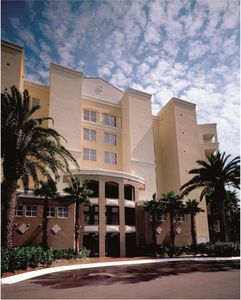 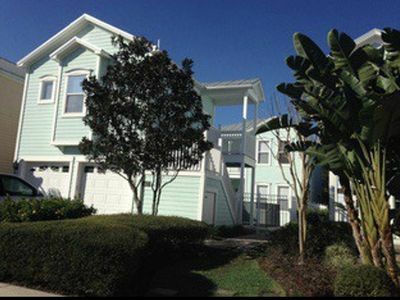 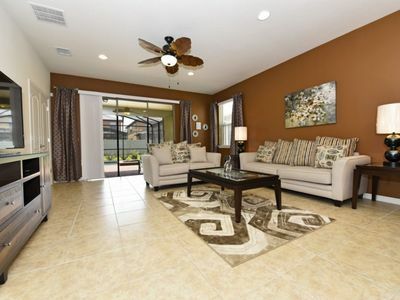 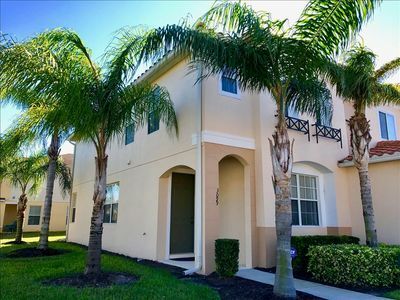 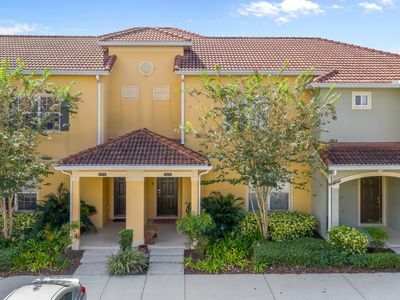 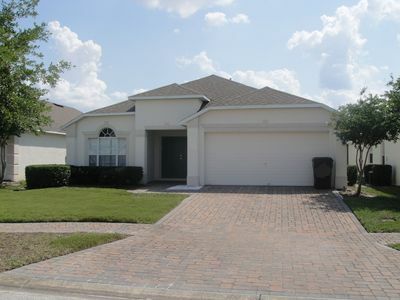 Only 3 miles to Disney, 15 miles to Sea World, 17 miles to Universal Studio and has easy access to all major theme parks. 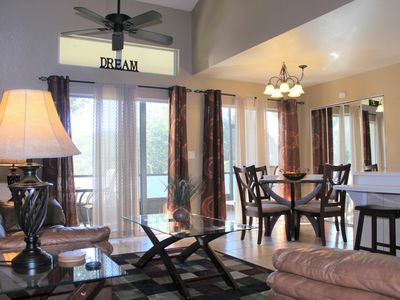 This beautiful villa locates in the prestigious Emerald Island Resort, a beautiful community with 24/7 guarded gate. 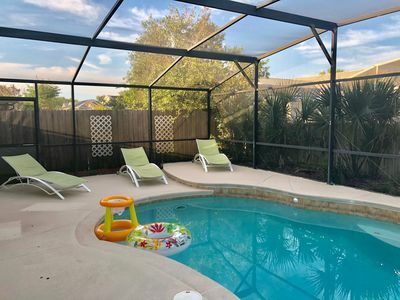 This villa has 8 bedrooms 4.5 bathrooms and heated private pool and spa, it can comfortably sleep up to 19 guests, perfect for large group staying together. 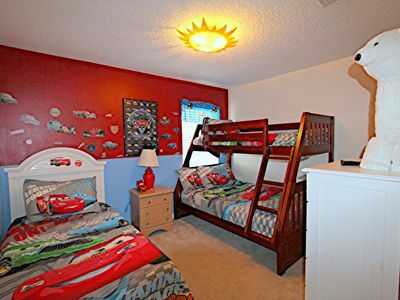 The open family room has a large flat TV, XBOX 360 video game console with Kinect, free internet WIFI, A game room equipped with pool and hockey table, it's 'heaven' for kids. 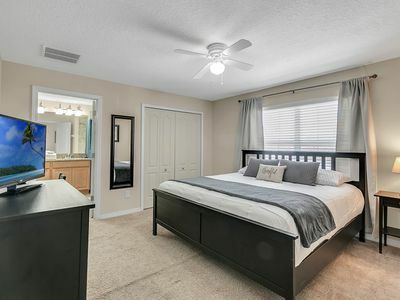 The kitchen and laundry room has everything you need to make you feel like home! 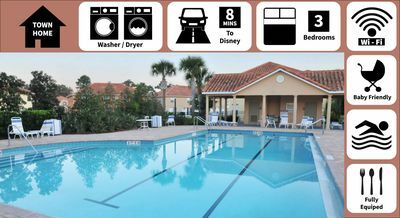 While you enjoy the Florida sunshine and theme part, your family can relax and have fun together in our heated sparkling pool/spa. 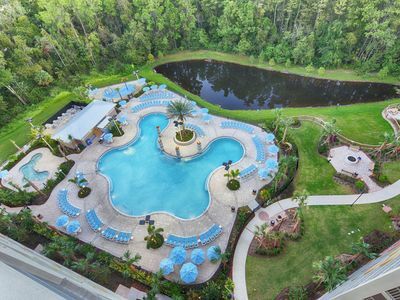 As our guests, you can utilize all the facilities provided within the resort, which include the clubhouse sauna, fitness center, games arcade, Internet cafe, Tiki-bar, 2 heated community pools and spas, volleyball, tennis courts, basketball facilities, kiddie play areas, and much more. 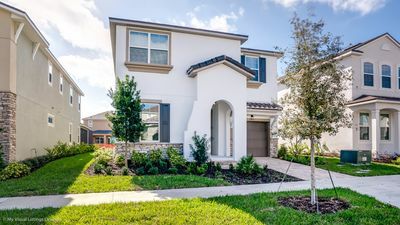 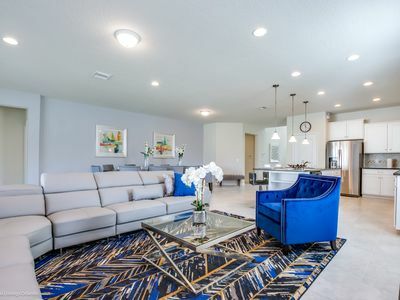 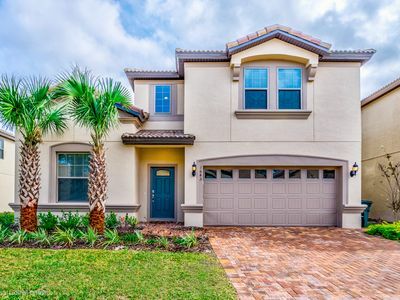 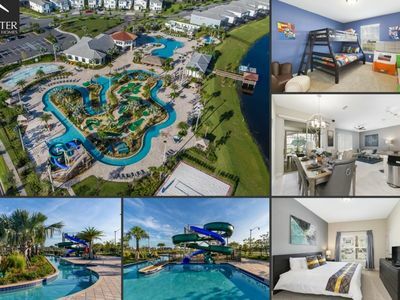 Join us in Orlando Florida, stay at our vacation home at Emerald Island Resort and experience a luxury, safe, clean, comfort and fun family vacation. 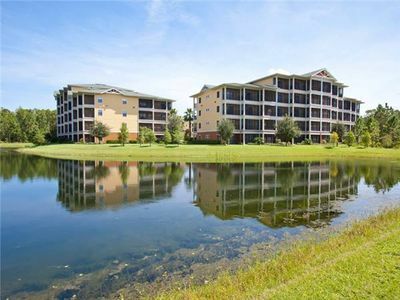 Lovely 3 bed condo on lovely Lake Marion!